Was tempted to name this post, ‘Why God will not help Nigeria’ but I decided on ‘God is not a House Boy’ because many a time, we misuse God and that I find very worrying. I have observed my fellow Nigerians on social media, from Facebook to Twitter, among other platforms call on God for everything. 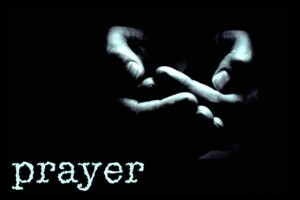 Let me at this point make it clear, I am unashamedly a believer in God and the power of prayer. This post is not to bash anyone or any faith. It is a question I have been grappling with and trying to make sense of and I wonder if there are other people who share a similar view. As we were…I see Nigerians and folks from other nations do the same and think it is our right to openly express our faith or the lack of it. What used to baffle me in the early days of my social media experience was that on one hand you had individuals who were very zealous and I think that is a good thing. On the other side of the fence, those who showed utter disdain for those who believed and dared to challenge a comment or status which soon spiralled out of a debate into a tennis match of trading insults. In fairness, the disdain was on both side. When I read such threads, I always said to myself, they can talk about him like a dog but that does not change who God is to me and that is still the case. This post may or may not come as a surprise to one or two people who know. You have nothing to fear or worry about. I still love God. He loves me right back and we are cool like that. Nevertheless, I have observed recent strikes and demonstrations/protests over the removal of fuel subsidy in Nigeria, among other ills befalling my beloved country which at times feels like, in fact, it is on the brink of disintegration. 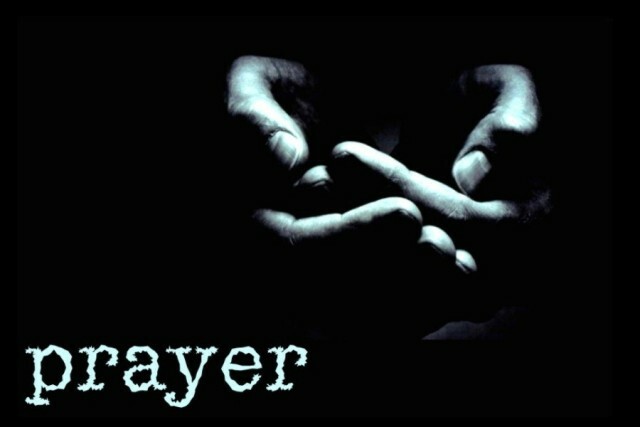 I have read so many Facebook and Twitter updates asking folks to pray and I have written some of them because I do believe in the power of prayer and do not for a second think we should stop now. I believe now is the time to take your faith seriously but faith without works is dead and that is why I am angry and have questions. I also think the time has come for us to stop treating God like He is a houseboy, who cleans up after us just because He said ‘He is faithful and just to…There are things we must do for ourselves and standing up to an ineptitude government when it comes to the political, economic and social wellbeing of its citizens is one of such. This is in addition to ensuring our security, which in Nigeria, has practically gone out the window. We are the government because without us, those who currently occupy Aso Rock will not be there. They answer to us. After all, democracy is supposed to be government of the people by the people and for the people. In Nigeria, what we have is demo-crazy…because our leaders are just unbelievable sometimes. I have seen young and old, men and women and youths come out on the streets to fight for what they all believe is rightfully theirs. Yet, with the exception of a handful of faith leaders (I will not use names in this post) I am yet to see others stand in line with the people to ask the government to reconsider their position. Our faith leaders in Nigeria, though not all of them, have leverage with the nation’s leaders. It is during times like these – when people are facing dire living circumstances, I would have thought they would unanimously add their voice to the call for the Nigerian government to have a second look at the issue of subsidy and find a more strategic way that alleviates the pain, the abrupt removal of fuel subsidy stands to heap on the masses. These are the folks, who belong to the 99 percent of the country that cannot afford to eat once they buy fuel or pay for transport to get to their place of work. I will not be so presumptuous to assume they may not have had private dialogues over the matter and I respect if they have but do not feel the need to publicly declare what was discussed. However, it would be good to see some of the strong voices in faith circles come out and stand with the people. I am not referring to Christianity in this instance. I mean every faith that is represented in Nigeria. If our faith leaders, who are representatives of the God of mercy cannot stand up at this hour to speak for the poor, maybe it is time we truly ask the purpose they serve? We already have a political kleptocracy managed by a gang of plutocrats. We don’t need another kind from the faith leaders of the land. Martin Luther King Jr., is remembered to date for his work and legacy as a civil rights activist. But may I remind you that he was also a clergyman. That did not stop him from leading peaceful protests and giving speeches that continue to reverberate decades after his death. King stood with the people. Speak up with us and join us to show solidarity. I don’t think that is a whole lot to ask for. This entry was posted on Friday, January 13th, 2012 at 11:56 pm	and is filed under Africa, African Diaspora, Nigeria, Opinion, Politics, Rants. You can follow any responses to this entry through the RSS 2.0 feed. You can leave a response, or trackback from your own site. Belinda, I could not agree with you more. There is a time and place for everything. Prayer has its place and so does action. As a Bible scripture says, faith without works is dead. I was equally disappointed the faith leaders went mum during the crisis. Says a lot about our attitude as a people towards progression and change. Brilliant piece..nothing more to add or deduct. Great article B! I love the conclusion with Martin Luther King analogy and I especially love the title!